He was crowned with so many titles: “Sexiest Man Alive,” “American Royalty,” “Heir to Camelot,” “America’s Son,” “Editor in Chief”. How do you remember John F. Kennedy, who scorned being called John John? The son of Jackie O? The little boy who saluted his father’s funeral procession? The hunky man whose plan plunged crashed into the Atlantic Ocean off the coast of Martha’s Vineyard, killing himself, his wife Carolyn Bessette and her sister Lauren? Now John Kennedy Jr. comes back to life in the original documentary film, I Am JFK Jr., an intimate, revealing and poignant look at his life in and out of the spotlight. Network Entertainment and Spike TV delve into the compelling life of John F. Kennedy Jr. through the distinctive lens of many of the people who knew him best, from A-list celebrities to close friends and staffers who worked closely with him at George magazine. I Am JFK Jr. (Virgil Films) comes to Digital HD on August 2, followed by a DVD release release on August 12. The White House was the first home John knew. The son of President John F. Kennedy and Jacqueline Bouvier Kennedy grew up in the public spotlight. When the world witnessed the moment the adorable 3-year-old JFK Jr. saluted his fallen father, the image was seared into the nation’s collective memory. 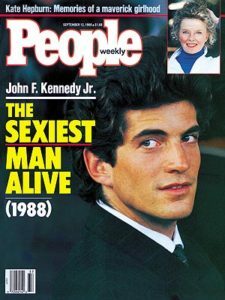 John F. Kennedy Jr. was considered by many to be “America’s Prince”. Despite living under the media microscope for his entire life, JFK Jr. forged his own successful career – from serving as the Assistant District Attorney of New York to launching the glossy political magazine, George. Featuring exclusive interviews from a wide array of friends and former colleagues, I Am JFK Jr. is an engrossing look at the person behind the tabloid fodder featuring untold stories that for the first time, will give viewers a true sense of the real JFK Jr. The documentary features interviews with John F. Kennedy Jr.’s friends ranging from the famous, like Robert De Niro and Cindy Crawford, to the controversial, like Mike Tyson and Larry Flynt; from media stars like Christiane Amanpour, Chris Cuomo, Paul Begala and Ann Coulter, to close friends like Grateful Dead songwriter John Perry Barlow, Sasha Chermayeff, Richard Wiese, Chris Oberbeck, Brian Steel, John Hare, New York restaurateur Richie Notar, John’s Chief of Staff RoseMarie Terenzio, and colleagues at John’s pioneering George magazine, Gary Ginsberg and Matt Berman. Michael Reagan and author Doug Wead talk about the difficulties and strange destinies of presidential children, actor Kristoffer Polaha talks about the man he would one day play on screen, while authors Christopher Andersen and Laurence Leamer offer background on the life of America’s most famous family. In addition to personal photos from John’s closest friends, the film features vintage footage of young JFK Jr. in the White House, with his family, and rare views of him in the years after his father’s assassination. I Am JFK Jr. tells the story of a young man pegged for greatness yet determined to be good, a story that ended way too soon. Zika? Spread the word that another epidemic is coming. Teenage sisters Emma and Stacey live a normal life . . . until their small suburban neighborhood is stricken with a mysterious parasitic virus. As the disease rapidly spreads throughout the town, the two band together to barricade themselves from infection. But it may already be too late–when the virus enters their home, the sisters are faced with an impossible choice: protect each other or survive the virus. The heart-pounding thriller Viral escapes onto DVD on August 2 from Anchor Bay Entertainment, Radius-TWC and Dimension Films. The shocker stars Sofia Black-D’Elia, Analeigh Tipton, Travis Tope and Michael Kelly. How do you mend a broken heart? How about “The Perfect Match”? Broken heart? Romantic ruckus? Learn to believe in love again with The Perfect Match, which has just been released on Blu-ray (plus Digital HD), DVD (plus Digital), Digital HD and On Demand from Lionsgate. Director Bille Woodruff has helmed a flick that will have audiences seeing their relationships in a whole new light. The delightfully entertaining film stars Terrence J, Cassie Ventura , Donald Faison , Dascha Polanco, Robert Christopher Riley, Lauren London, with Joe Pantoliano and Paula Patton. Charlie (Terrence J) is a bachelor who’s convinced that relationships are dead despite attempts by his therapist sister (Paula Patton) and his friends to tell him otherwise. On a bet, he decides to stay with one woman for one month to prove that he is immune to love. Soon, he meets the beautiful and mysterious Eva (Cassie Ventura) and coaxes her into a casual affair. But as Charlie spends more time with Eva, he begins to question whether he may actually want more than just a one-night-stand. The Perfect Match home entertainment release comes loaded with hilarious special features, including audio commentary with the cast and crew, two behind-the-scenes featurettes and a compilation of footage too fun to leave out. 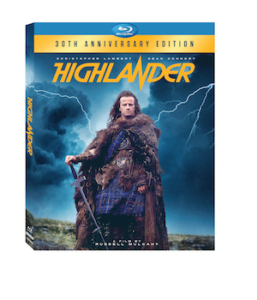 Experience Highlander like you’ve never seen it before with the 30th anniversary edition arriving on Blu-ray and DVD September 27 from Lionsgate. This edition features never-before-seen interviews with director Russell Mulcahy and Lambert (as well as an archival interview with R.M.) 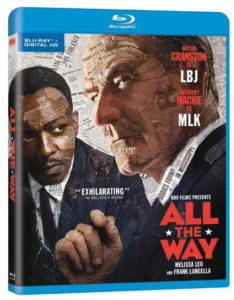 , a brand-new “making of” documentary, deleted scenes and audio commentary with director Mulcahy. We’ve always known that August brings the dog days of summer, but we never knew they could be so, well, fetching. 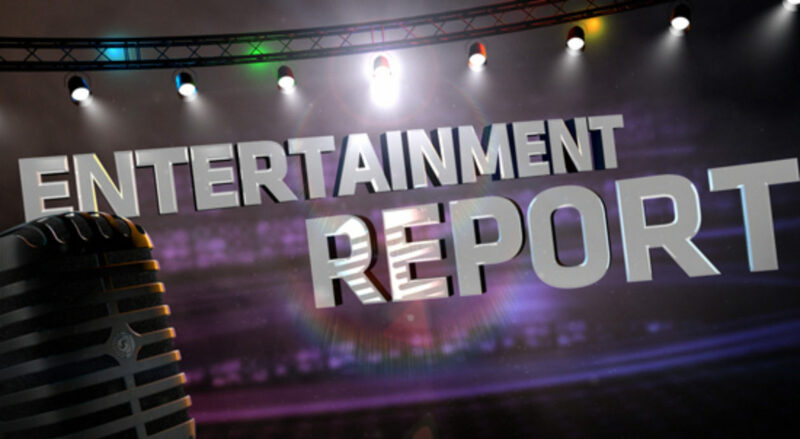 On August 30, Air Bud Entertainment, the creators of Air Bud and Disney Air Buddies franchises, will release Pup Star, a canine-crammed spin on America’s hit TV singing competitions. Loaded with music, including 13 original songs and the biggest cast of talking (and singing) pooches ever assembled, the all-new family film is the inspirational adventure of an adorable Yorkie pup, Tiny (voiced by Kaitlyn Maher), who finds herself on an action-packed cross-country journey to compete in the ultimate singing competition for dogs. After she earns a place in the finale, Tiny is suddenly dog-napped! But with the help of her new friend, Charlie, a retired rock-and-roller, she escapes. Together they leave on an incredible journey through some of music’s most iconic cities. On the way to the competition they meet Big Ears—a soulful Basset Hound who teaches Tiny to belt out the blues; Murray—a spiritual shaggy dog who helps her find her inner rhythm; and Emily Rose—a country-singing shepherd who helps her learn to sing from her heart. Most important of all, they all encourage Tiny to believe in herself and never give up on her dreams! You can start barking the raves when the flick is released in select U.S. theaters and Digital HD exclusively on Fandango’s premium on-demand video service, FandangoNOW (FandangoNOW.com). In Canada, the film will release September 17 (my bark-day) exclusively in Cineplex Cinemas as part of the complimentary “Family Favourites Premiere” programming with an additional special movie offer at the Cineplex Stores. The cat’s meow can be pre-ordered on FandangoNOW for $9.99 at fandangonow.com/pupstar. We hear a sequel is already in the works!